In a recent study among the high school students, more than 55% of students have confessed to using malpractices like cheating and plagiarizing in a test. It is seen that many students take help from the internet to write their assignments. Hence, this gives us a true picture of how plagiarism is harming the entire academics and is also a serious threat to the entire education system. It is not at all desirable to submit plagiarized assignments as it creates a bad impression with the teachers. Moreover, if you have created a bad impression with the teachers, it can land you up in more trouble. Even if you submit an authentic assignment, it would still be scanned through to check for plagiarism. Therefore, the consequences of plagiarism cannot be brushed away just like that because a student’s academic reputation is at stake if he becomes popular in the wrong way. Plagiarism means copying others work and putting it into your own work. Many authors have defined plagiarism as a very grave issue which can lead to unsuccessful research. We all know that researches should be genuine and authentic. Any kind of copying can be a hindrance towards the production of original research. For instance, if we take a research paper on “Global warming and climate change” and copy something directly which says – some industries at a certain level are cutting trees which have affected our environment at a certain level – you might be caught for copying. Here, the researcher has done research and provided information on the basis of some facts. So, when you do your own research, you might come up with a different fact and thus you cannot prove your point of view. Your effort of copying ideas of others can create a bad image in front of the research committee. You will have to go through an embarrassing situation if you are caught red-handed. This can be a serious blow to your academic life. Plagiarism can be of many different kinds. Copying and pasting the contents directly are some of the major unintentional plagiarism found in many assignments. Copying an idea is no less than plagiarism. When you copy someone’s idea and show it as yours you are actually committing plagiarism. Paraphrasing is a type of plagiarism where you simply change the order of the words or replace some words and reproduce them. Without doing relevant self-experimenting, you simply copy the experiment from a source. After submitting your assignment, if plagiarism is found, then it might also happen that you will not be given any chance to prove your work as authentic. As a result, you might be identified as an underqualified and dishonest researcher who took dishonest means to complete the research work. You probably will not get admission in reputed institutions either. Avoid copying and imitating works of others. There is nothing like using your own logic while presenting an argument. Do not blindly copy the protocols from any source. Check it as many times it is required to find the authenticity of the fact. Always be cautious and use trustworthy and authentic sources. Be productive and create your own ideas. Be aware of the importance of the references and citations and use them generously in your work. Imagine someone getting caught for plagiarism. 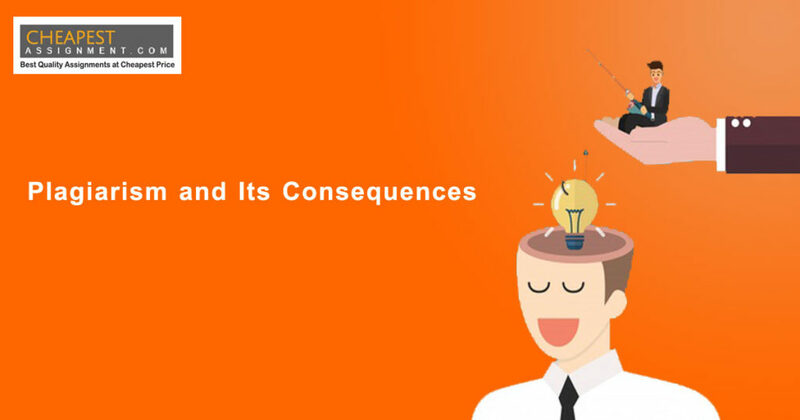 Can you think of the consequences that the person might face? If you are caught in such an act, you will get a rejection from the teachers. Your scores will be affected and there might be chances of you getting expelled from the college or university. In case if you are lucky enough you might not be expelled however, you will be kept under strict supervision. Plagiarism is nothing but cheating and hence, everybody would question your creditability. Teachers will start losing their trust and you might face an objection to whatever activities you might do even if it be sports or some events in your school or college. No student would like to go through such situations. First of all, get into a practice of writing the assignments from the very beginning. Understand the difference between copying someone’s idea and just taking reference from other’s work. Do not write the same points again and again. You might get entrapped in a series of legal issues if you commit plagiarism. There are always chances of the original author catching hold of you and suing you on the grounds of violation of the copyright. In the first place, you can take services from an expert professional to have your work verified. There are numerous plagiarism checkers. Download the authentic ones that you can use to check through and if there is any plagiarism in your piece of assignment that would be immediately depicted. Don’t use watermarked images and always use inverted commas while providing someone’s sayings or interview excerpts. Plagiarism is such misconduct that it also creates a bad reputation for the educational institutes. They are held equally for not controlling the malpractice and their goodwill gets impacted too. That is the reason why plagiarism is seen as a very serious offense and if caught, the students are punished severely. Encourage interactive education so that the students can be made aware of the severe consequences of plagiarism. Create a library in accordance with and relevance of the books of the students. Provide access to original research archive as much as possible to control and get rid of plagiarism. For controlling plagiarism within the school or college, a team of anti-plagiarism experts can be created. After the discussion on the consequence of plagiarism, you should be aware of the ill-effects and try to maintain authenticity in every paper that you create. Recently, it is seen that there are many students in different schools and Universities who are expelled just because of plagiarism in their assignment. Do you know that plagiarism is a serious offense and schools and colleges can suspend and even expel students for the same? A disciplinary action might be subjected to committing such an offense. Do you really want this to happen in your life? Isn’t it better to get rid of it in the first place? It is always better to walk away from such severe consequences and follow the anti-plagiarism rules and regulations. Besides all this, you should know that the results can become graver and take you through different sufferings like legal penalties and monetary fines. You might find yourself behind the bars for using unfair means in higher research works. The day your teacher gives you the assignment brief, start working on it. Divide your day on the basis of the work you have decided to do. Make a time table for allocating your everyday work. Stick to sources that are credible and noteworthy. Take all your references after conducting detailed research. Take some time out to take suggestions from your teachers to ensure that you are following the right direction in assignment writing. Do not delay or keep work pending. Better you should write a few pages every day. Take help from your classmates and friends by asking them to revise your work. Remember, your work is confidential and so don’t reveal the entire assignment to them. You may ask them to revise certain portions of it. Don’t forget to mention the sources and names of the authors that you have mentioned in your assignment. Are you worried about Plagiarism in your assignment? It is seen that plagiarism in the assignments are found mainly due to students having limited time, stress, a lot of work pressure, less knowledge of the subject, language problem and poor confidence to create quality assignments. If you are not confident enough to produce 100% plagiarism-free assignments, then it is always advisable to contact our experts. At CheapestAssignment.com, we produce great assignment writing solutions at affordable prices. We produce original assignments which are free from plagiarism. Our team of experts is from reputed institutes who check all the assignments carefully for any plagiarism. Whether it is an essay or a dissertation, our experts provide 24/7 availability and provide you with the best quality solution. We deliver comprehensive and error-free solutions to the students. Our mantra is to deliver error-free assignments and in doing so, the assignments go through a process of multiple checks. The assignments are scanned and audited by a team of experts multiple times to rule out possibilities of any error, duplication, and plagiarism. So, what are you waiting for? Get in touch with us immediately to place your order and check out our assignment services. First, you will be required to just fill up the order form and then the rest would follow. We will make sure to provide your assignment before the deadline and will be available for any support even after the assignment is delivered.